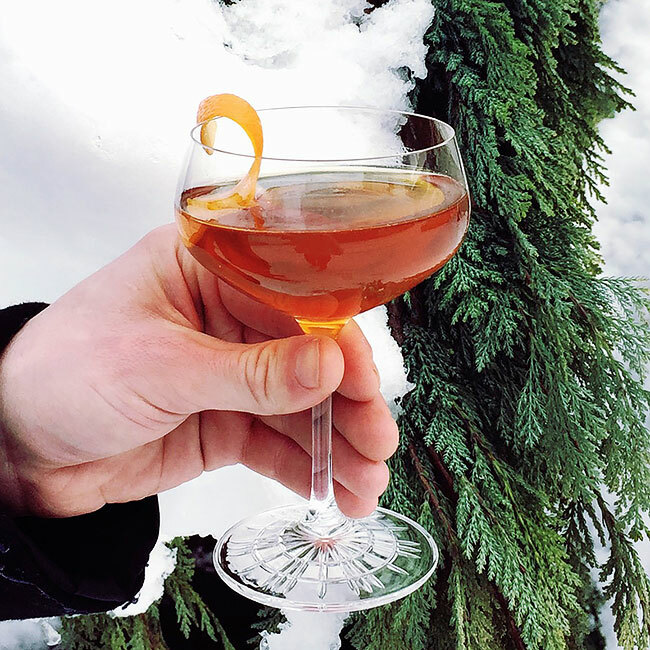 Take one sip of this warming cocktail and be transported into the woods! Stir all ingredients over ice and strain into a chilled coupe glass. Garnish with an orange peel.